The Lansing Police Department is asking the public for help to identify a man suspected in a bank robbery. 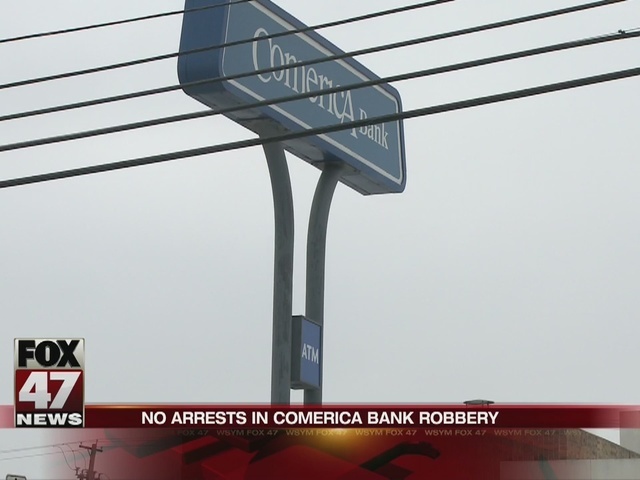 The robbery took place at a Comerica bank branch in the 200 block of North Clippert Street on Tuesday, February 16, 2016 at around 4:30 PM. The suspect is a white male, approximately 50 years old. They describe him as being 5'4"-5'7" with a heavy build. He was last seen wearing a gray Carhartt jacket, with dark pants and shoes and wearing a knit cap. The suspect may be driving a small gray pickup truck, possibly a Chevy S-10, or similar make. If you have information about the robbery, or the suspect, call the Lansing Police Department: 517-483-4600 or CRIME STOPPERS: 517-483-7867.